Trophy Channel Catfish. 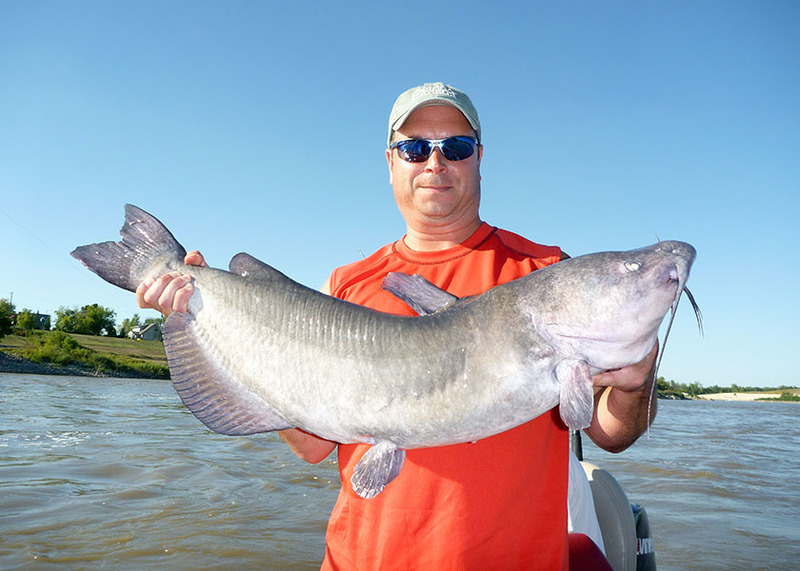 The Red River in the Lockport/Selkirk area has huge catfish. Big time! 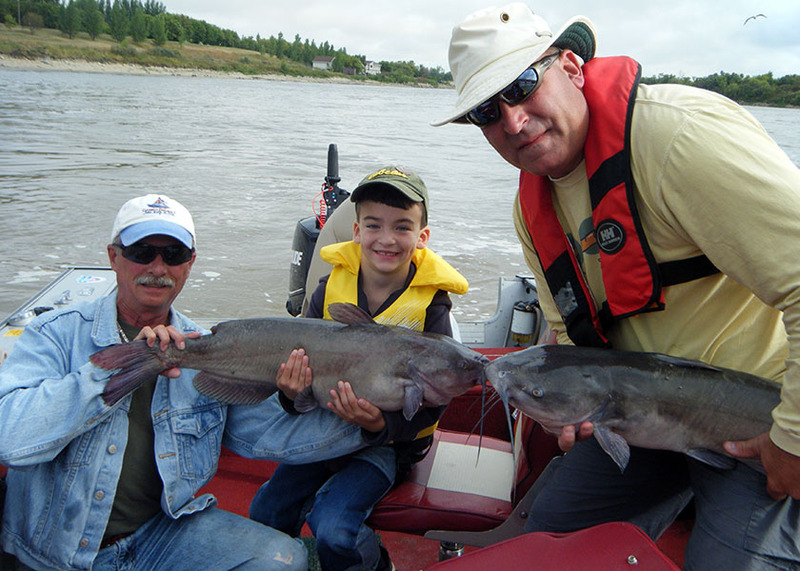 It is a world renowned Channel Catfish fishery. 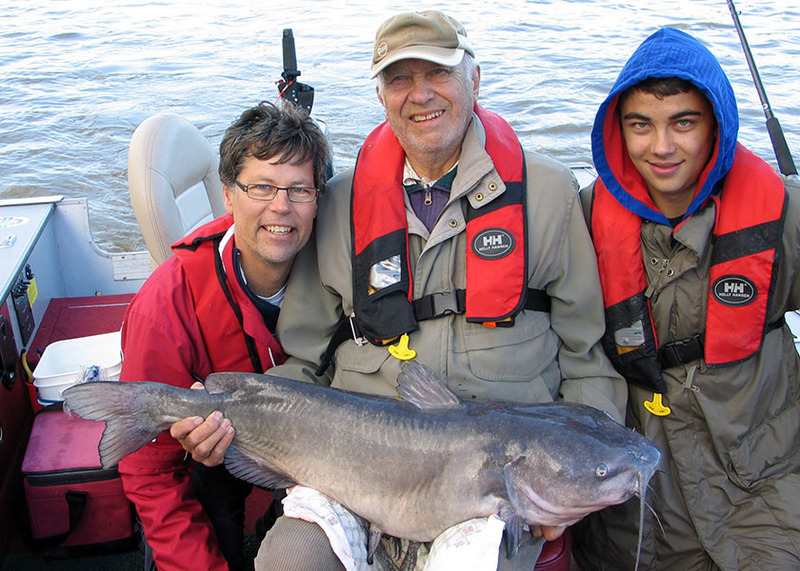 These catfish that call Lake Winnipeg home and the Red River their playground are some of the biggest Channel Catfish known. Manitoba Master Angler designated fish are 34+" long and will weigh 20 pounds give or take a couple of pounds. These plentiful, tackle busting fighters will introduce you to a whole new level of fight with their power. Catfish in the 38" range weighing in the 30 pound range are not uncommon. Battling one of these to the boat will leave you with shaky arms. The trouble is - one is just simply not enough! The Provincial record is 46.5"!! Does this sound like fun? My name is Jan Bass, owner/operator of Whiskers & Walleye with Bass. 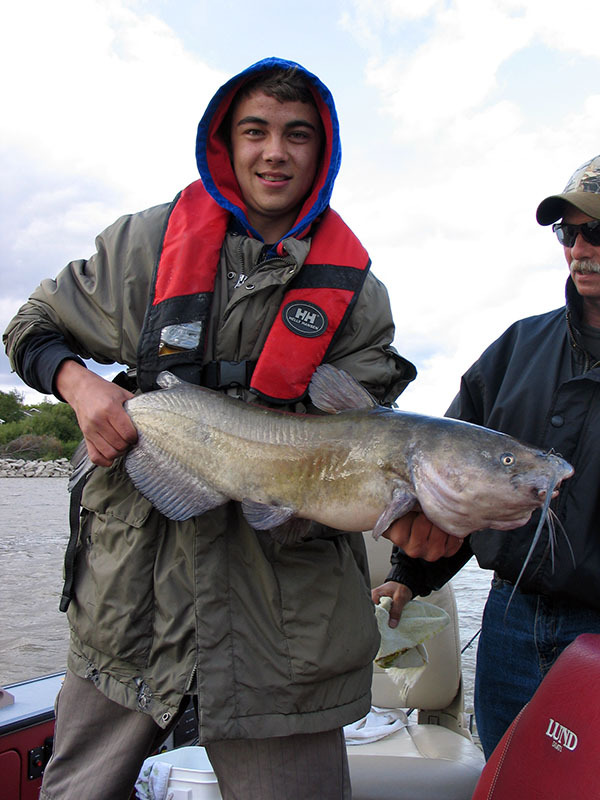 I've been fishing the area since I was a kid and guiding for these huge Channel Catfish since 2008 as an insured, Manitoba licensed guide in the Lockport/Selkirk area. You will be fishing from a Lund 1890 Pro-V running a 90 E-Tec. This is a safe, roomy watercraft that is comfortable to fish from. All necessary safety equipment is on board. My goal is to ensure that you have a safe, unforgettable, trophy catfishing experience. You can book half or full day outings for the morning, afternoon or evening depending on the time of year. Your guide, fishing gear, bait and gas are all included. All you need to bring are your drinks and snacks, Manitoba fishing license, a camera and be dressed for the weather. (Alcohol is not permitted as per provincial law.) The fishing gear I use is Shimano, Tekota 500's, Corvalus, or Calcutta's for reels on Talora rods. The bait selection is often dictated by the season and I ensure a proper selection for our outing. I'll provide the action and memories! Should your group be larger, just contact me to arrange the outing. Let's go fishing! !